Browse for albums, books, scores and tuition vouchers. Click ‘Add to Cart’. Once you are ready, you can purchase at the check-out using the shopping cart that will appear. Preview a sample of the book here. 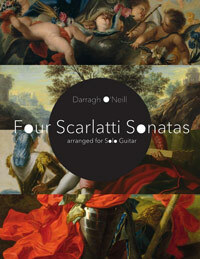 The Book: ‘Four Scarlatti Sonatas’ The full sheet music book ‘Four Scarlatti Sonatas’ arranged for solo guitar by Darragh O’Neill. In addition to traditional staff notation this edition also features each piece in easy to read guitar tablature alongside helpful editorial and biographical notes. €22.50 incl. P&P – Mailed to your address. €18 – Mailed to your address. €7 – You will receive a .PDF copy of the score in your email inbox as quickly as I can get it to you, nearly always within 24 hours! 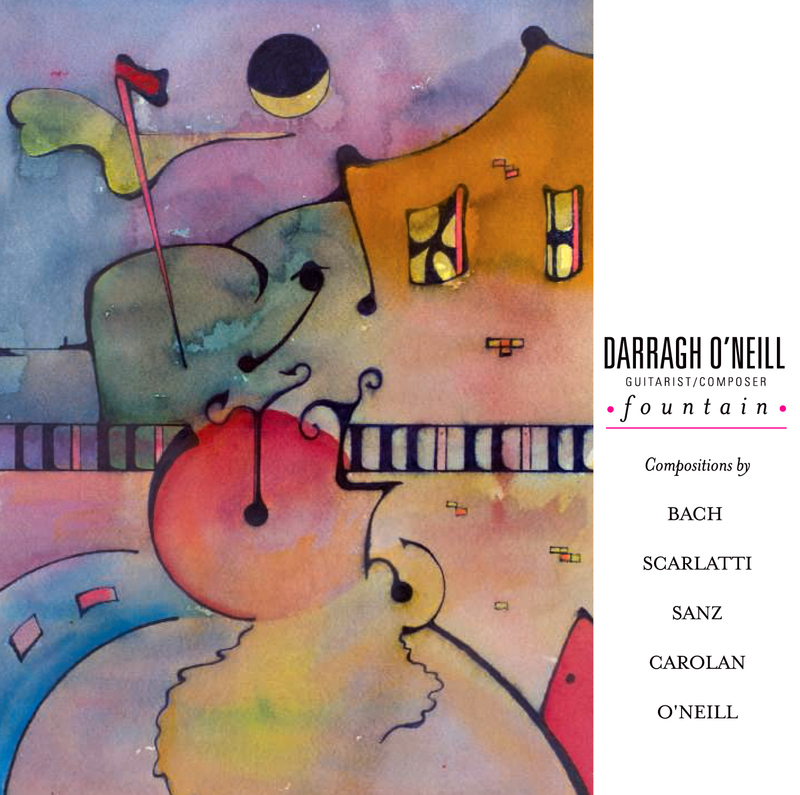 CD: The CD of the album ‘Fountain’. 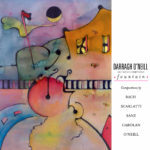 This disc features six original Darragh O’Neill pieces for solo guitar, alongside his arrangements of some of the guitar’s best loved classics. 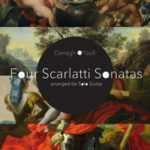 These arrangements include music by J.S.Bach, Domenico Scarlatti, Gaspar Sans, and Turlough O’Carolan. 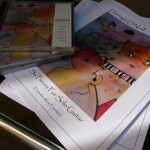 €19.49 – Includes worldwide post & packaging. Please add postal address. 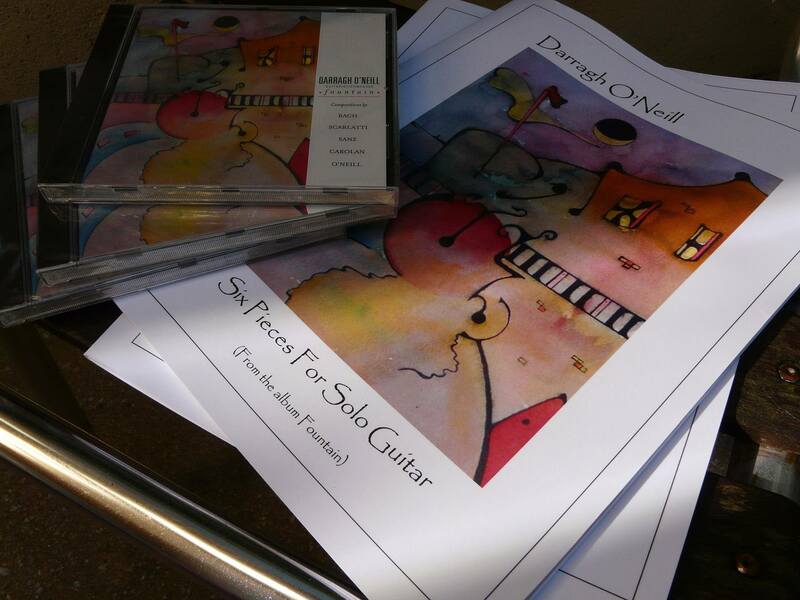 Tuition Voucher: 15 guitar lessons with Darragh O’Neill. €460 – Must be redeemed in 15 consecutive weekly classes and within 6 months of purchase. Free post & packaging. Please include postage address.